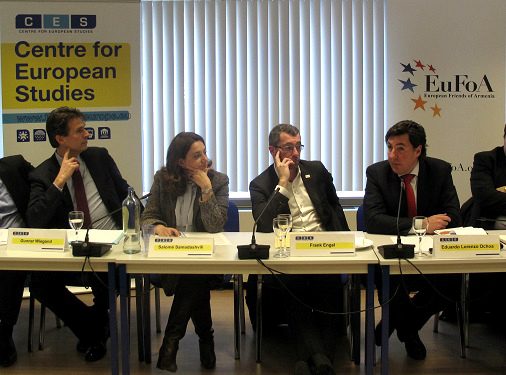 EuFoA’s Director Eduardo Lorenzo Ochoa was part of the discussion panel alongside Frank Engel (MEP and Member of the Europe-Armenia Advisory Council) and Gunnar Wiegand (Director for Russia, Eastern Neighbourhood, Central Asia and OSCE, EEAS). 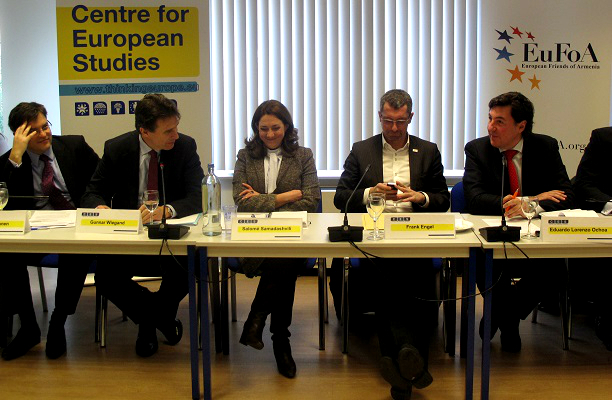 The discussion was moderated by Salomé Samadashvili, visiting fellow at CES and former Ambassador of Georgia to the EU. 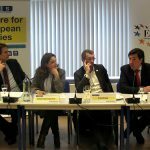 EuFoA Director commented on MEP Engel’s remarks and presented a short paper on the future of the EU-Armenia relations, which analyses possible ways of the EU-Armenia cooperation. 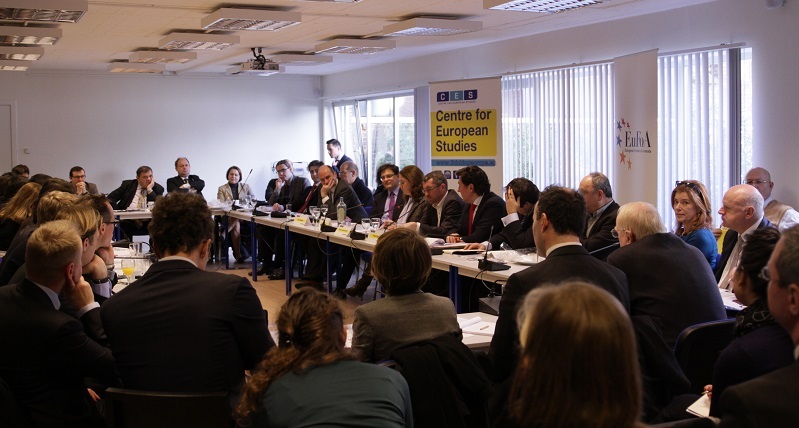 Mr Wiegand closed the panel’s remarks by outlining the European approach. 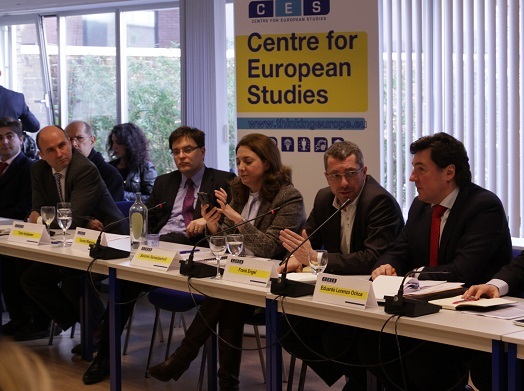 A general consensus was that EU and Armenia have to quickly find a new framework for cooperation. This new setting should rightfully reflect both the investment and efforts made over the recent years in implementing Europe-proposed reforms, but also respect Armenia’s new international commitments. 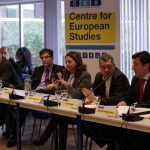 Speakers underlined Armenia’s European values and discussed its will to continue cooperation with the EU, reflected for example in Armenia’s recent request for European assistance. Participants discussed also more practical aspects of the EU-Armenia cooperation, like the issue of the last week’s meeting of the EU-Armenia Parliamentary Cooperation Committee (PCC), which for the first time in 10 years did not end up adopting a joint statement. A lively debate followed the initial exposes with the attendees of the event. 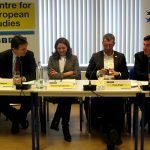 EuFoA has organised similar events regarding Europe-Armenia relations in the past, most notably one with Gunnar Wiegand also delivering a keynote speech. Please click here to view a short summary of that event. 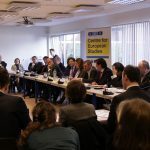 The successful event was attended by more than 70 people representing European Institutions, diplomats, think tank community and NGOs.